Waterfowl Park Display Ponds is home to Wascana Centre's injured and captive waterfowl including geese, ducks, pelicans and swans. The public are welcome to stop by to learn about and feed the birds in this location throughout the summer months. Display panels assist visitors in identifying and studying the waterfowl. Work on the Waterfowl Display Ponds began in 1971. The Waterfowl Park Committee, working under the Wascana Centre, recognized the need for a facility for captive waterfowl. The Display Ponds would provide a home for captive and injured birds and an opportunity for people to interact with birds up close. For decades, the Display Ponds have served as an outdoor classroom for Regina and area schools, as well as are a popular attraction for the local public and tourists alike. 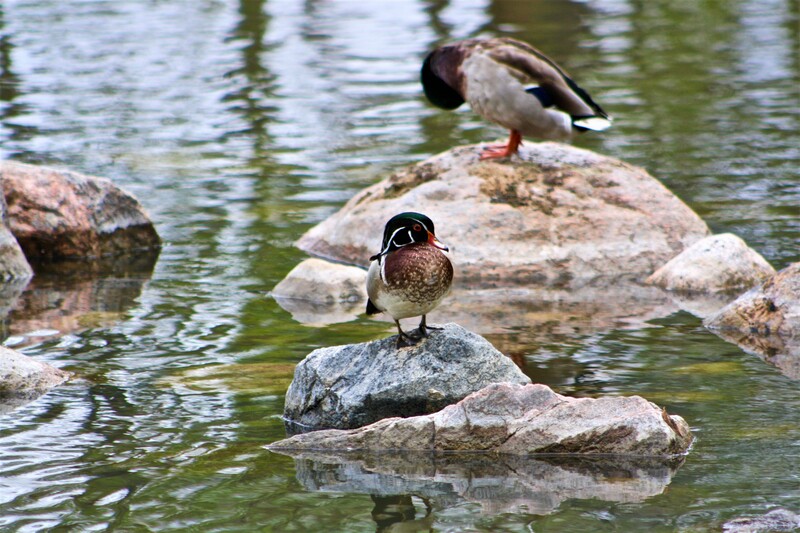 The Waterfowl Park not only provides a safe habitat for wildlife; it is an educational resource for subjects such as ecology, biology and nature study. In 2015 Wascana Centre launched the ‘Bread is Bad for Me’ campaign. The educational campaign focuses on educating the public about the dangerous effects of feeding certain foods like bread and popcorn to geese and ducks. When waterfowl are fed items like bread and popcorn, malnutrition and disease can become an issue, especially in young developing birds. 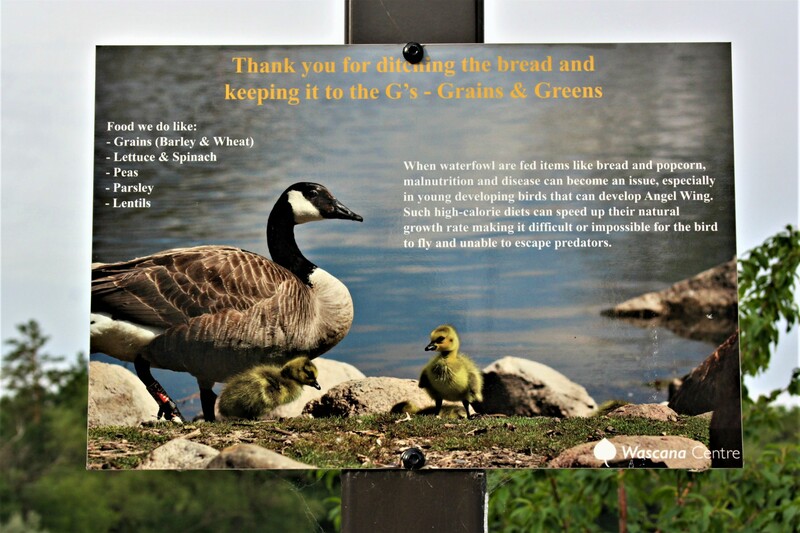 Wascana Centre encourages visitors to keep it to the G's; grains and greens. Items such as barley, wheat, lettuce and spinach will help the birds develop properly.